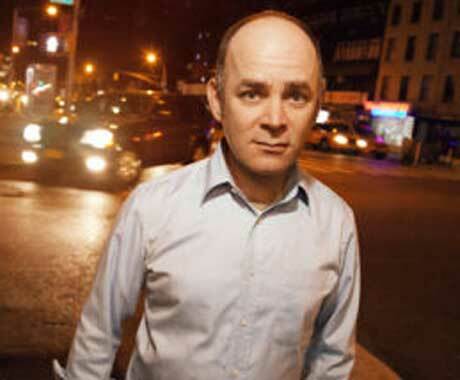 On a night full of stand-up surprises by fledgling talent, Todd Barry made his Halifax debut by being a total pro. Host Bob Kerr overcame some initial discomfort with having to MC the evening and just got more in rhythm every time he was on stage telling jokes before introducing other comics. Based in Toronto, but currently working as a writer for This Hour Has 22 Minutes in Halifax, Kerr makes self-effacing cracks about adulthood and arrested development. "There are mornings where I'm just pouring milk over a bowl of Nerds," he said during a bit about his diet. "It's like a tangy quinoa." Kerr's short bursts featured great material well delivered by an amazing performer (his "tips for laughing at you boss's jokes" was genius). Halifax's Sandi Rankaduwa also had strong, thoughtful stuff but, as a young comic, is still honing her energy on stage. She made some regional cracks, such as the obvious weirdness of the festival naming itself after an infamous explosion that killed thousands of people ("So tonight, I'm modeling my set after the Oklahoma City bombing," Rankaduwa said, which is funny on at least two levels) and later talking about growing up as part of a Sri Lankan family in Charlottetown. She also delved deftly into pop culture and, as her confidence in her voice and physical humour grows, she'll develop into a key Canadian stand-up. The extremely sharp David Heti was introduced as a New York comic and while he does live there, he's originally from Toronto. His mannerisms and persona recall a restless Woody Allen and his academic, philosophical comedy taps into existential neuroses and metaphysical discomfort in an endearing if standoffish way. He played at his superiority over the audience on a few occasions but it was just the right amount of acerbic bite to keep the crowd on his side and made Heti the evening's greatest revelation. Todd Barry had never played Halifax before and he introduced his set by suggesting he might have to make himself at home in one of the area's many bright blue houses. After mocking the number of acts that preceded him, Barry settled in with new and reliable bits about how ridiculous things like red eye flights, snobby baristas, unnecessarily angry people on twitter, and people who insist on ordering water with lemon in it. His crowd work was more about setting up prepared material than killing time during a set that felt really precise and perfect. Barry could score laughs with jokes or reacting to a horrendously loud door beside the stage, slamming every time dudes went to the bathroom. It was just a great headlining set by one of America's best, smartest comedians who doesn't always get his due.